Get You Down the Road! Rent a CS30 or AS32 model motorhome and pick up between September 21 and October 31 and get 10% off the nightly rate and 100 free miles a night! Wherever your imagination takes you, you can be there! There's no shortage of destinations, like the Albuquerque International Balloon Festival from October 3 - 11! This is also a perfect time to see mother nature put on her fall leaf-turning show! 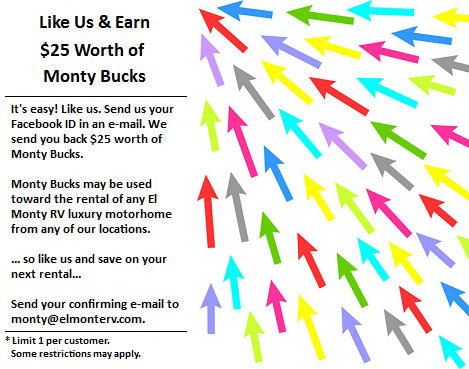 This offer is good at all El Monte RV locations. 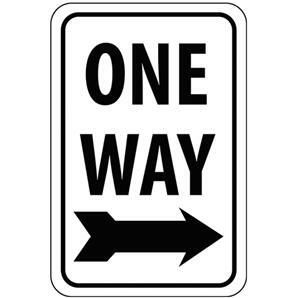 We make getting away easy with lots of locations nationwide. This offer cannot be combined with other specials or discounts. This is a limited time offer, so make your plans to get away now! Use code AUTUMN when booking on our website, or call a reservation specialist at 888-337-2212 and refer to this code. 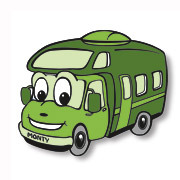 Beginning March 14, 2016, pick up a motorhome in Middlebury, Indiana and drop off in Las Vegas, NV, Dublin, CA or Santa Fe Springs, CA and get a fantastic deal! The Bojangles Southern 500 race at the Darlington Raceway on September 6! The Federated Auto Parts 400 race at the Richmond Int'l Raceway on September 12! The Myafibstory.com 400 race at the Chicagoland Speedway on September 20! The Sylvania 300 race at the New Hampshire Motor Speedway on September 27! 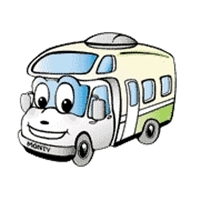 RV Vacation Ideas: Notable Road-Worthy Trips in September! George Washington may have been the Father of Our Country, but he was also a businessman. Before he became president, Mr. Washington set his sights on the Potomac river as a means to open up trade routes between what would become the area surrounding Washington DC and points headed west. 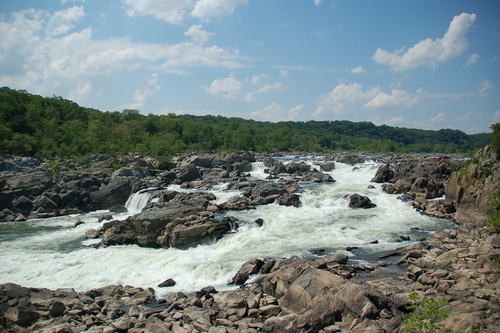 Great Falls Park is part of the history of these endeavors and is where one of the first canals in the country were built. There are many historic points along the George Washington Parkway that runs along the Potomac River. You'll be happy you made Great Falls Park one of your stops. The park offers activities such as bird watching, hiking, bicycling, horseback riding and more. For river viewing, there are three overlooks near the visitor center. Please also read this page on river safety. 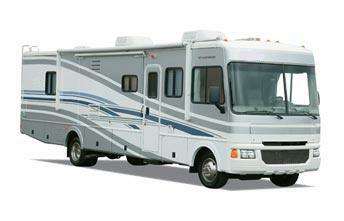 The closest El Monte RV rental location is in Roanoke, VA. However, if starting your trip from another location is more convenient, we also have many other rental offices, so please visit our locations map to find a location that may be more suitable. 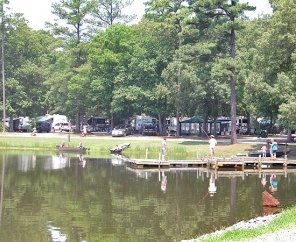 This month, our featured campground is the Chesapeake Bay RV Resort! A 280-acre waterfront RV campground set along the banks of beautiful Piankatank River, offering both shady and open campsites. Chesapeake Bay RV Camping has full hook-up sites and facilities at this coastal RV campground are clean and well maintained. Other amenities include volleyball, horseshoes, shuffleboard, fishing, swimming pool, hiking, basketball, dog park and more! Upstream from the Chesapeake Bay, Piankatank River is perfect for boating, water skiing, jet skiing, swimming, crabbing, and fishing. Both saltwater and freshwater fishing are within a quarter mile boat ride from Chesapeake Bay RV Camping. Colonial history buffs with be very happy to hear that nearby there are 3 "living history" towns of unparalleled historical significance. Colonial Williamsburg, Yorktown and the Jamestown Settlement make up what is known as Virginia's "Historical Triangle", and the beautiful Colonial Parkway that connects them is worth the drive if you do nothing else. Three charming villages - Gloucester Courthouse, Mathews Courthouse and Urbanna - are within a half hour's drive, with unique shops, historic buildings and museums, wonderful restaurants, art studios and galleries. Waterfront dining and shopping can be found in Yorktown, Gloucester Point and Urbanna. For the kids, Busch Gardens, Water Country USA and Paramount's King's Dominion are also within easy driving distance. We have a rental location in the Roanoke area for your convenience. Check out our locations map for these or a location that may be more convenient for your rv rental. ~ Place a layer of frozen potatoes on the bottom of the slow cooker, followed by a layer of bacon or ham; then onions, green pepper and cheese. ~ Repeat the layering process two or three more times, ending with a layer of cheese. ~ Beat the eggs, milk, salt and pepper together. ~ Pour over the Crockpot mixture, cover and turn on low. ~ Cook for 10-12 hours.